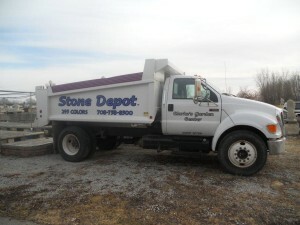 Delivery can be anything from 1 tree to several yards of stone/mulch. Pallets of pavers can also be delivered as well as the large ornamental statues we have for sale. The Delivery Charge is based on distance, starting at $40.